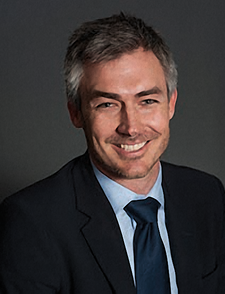 Wesgro CEO Tim Harris outlines how dedicated programmes are attracting significant investments and tourists. The Western Cape metropole emerged from a long-term drought as a more resilient city. What has been the impact on tourism and investment? There are many factors that affect tourism and investment. From a tourism perspective factors include affordability, distance to destination, climate, exchange rate, visa regulations and even the price of petrol will have a big impact on the domestic market. Similarly, investment was negatively impacted through credit downgrades, policy uncertainty, political instability and negative media coverage surrounding the drought that weighed down on our investment case globally. The effect of the drought on tourism will not be seen at this point; however, our top 10 markets (UK, Germany, USA, Namibia, France, Netherlands, Switzerland, Sweden, Australia and the UAE) performed relatively well in Q1 of this financial year despite the circumstances. We did indeed look to other markets for lessons learnt, inspiration and advice on how to deal with a crisis. Tourism is a resilient sector, and with time it can correct itself. We learnt from Mexico that profit margins for businesses, especially small business, is so small that anything and everything must be done to expedite recovery. Another lesson learnt was that deep discounting was not a solution either. Egypt learnt that it takes five years to mathematically recover from a 10% cut in prices – once you start discounting your clients change and so does your competition, which isn’t always good. Taking inspiration from the “Great” Britain destination marketing campaign we conducted research through an international investor perceptions survey, to provide insight as to how Cape Town and the rest of South Africa faired in the international investment consideration market. Following this, a marketing campaign was devised to instil confidence in the economy of the Cape and South Africa internationally, by showcasing the many opportunities for investment across a variety of sectors in the Western Cape. The research provided us with the data we needed to make sure the campaign was efficient and impactful. It demonstrated that we needed to do more to show to the world our relative strengths – access to growing markets, ease of doing business, a growing economy, and world-class infrastructure were key points identified in this research. How do you feel events at national level are panning out for the investment environment? We welcome the steps by President Cyril Ramaphosa to attract over US$100-billion in foreign direct investment. We particularly welcome the steps outlined in the visa relaxation announcement as a step in the right direction – if implemented correctly it will have a noticeable and positive impact on tourism, trade and investment in the Western Cape and South Africa. A team from the Western Cape comprised of representatives from the Western Cape Government, City of Cape Town, Saldanha Bay Industrial Development Zone (IDZ), GreenCape and Wesgro recently attended the inaugural Investor Summit in Johannesburg to play our part in driving more investment to South Africa. Key to Cape Town’s success is cooperation between all spheres of government and being a reliable and transparent partner for foreign and local investors. Please give an overview of your investment highlights over the past year. Wesgro’s Investment Promotion unit realised committed investments worth R2.29-billion, to be landed over the next five years, which translated into 1 014 jobs. A key success for the unit was the foreign direct investment committed by Pegas Nonwovens, the largest producer of spun melt nonwovens in the EMEA (Europe, the Middle East and Africa), to the value of R1.3-billion. A key part of our investment promotion effort is the work done by our dedicated Agribusiness Investment Unit, funded by the Western Cape Department of Agriculture. This team helped land committed investments in the agribusiness sector amounting to R756-million off the back of six investments. This is expected to create 1 412 jobs over the next five years. Contributing to this achievement was the US-founded Cape Town-headquartered Marathon Restaurant Group, which invested R300-million in developing Pizza Hut, fast-casual restaurants in the Western Cape, creating 700 jobs. How are the Cape’s exporters faring? During the past financial year, Wesgro’s International Trade Promotion unit facilitated the signing of 53 business agreements with an estimated economic value of R2.83-billion over the next five years, expected to create 679 jobs. Further to this, the unit facilitated outward foreign direct investment projects valued at R190-million. Is the expansion of the CTICC having an effect on conferences and events? The Cape Town & Western Cape Convention Bureau’s mandate is to attract meetings, incentives conferences and exhibitions to the Western Cape. Often, and especially over peak periods, conference and event venues in the Western Cape have to turn away business due to unavailability of venues space. An expanded convention centre means that additional large-scale conferences and events can be hosted in the destination. As the number one destination on the continent for hosting international association meetings, the bureau often works with the convention centre sales team in promoting the destination and attracting new meetings. What are the highlights of the Cape Town Air Access programme? The Cape Town Air Access partnership between Wesgro, the City of Cape Town, the Western Cape Government, South African Tourism, Cape Town Tourism, Airports Company South Africa, and private sector partners, demonstrates the power of collaboration in boosting the Cape economy. 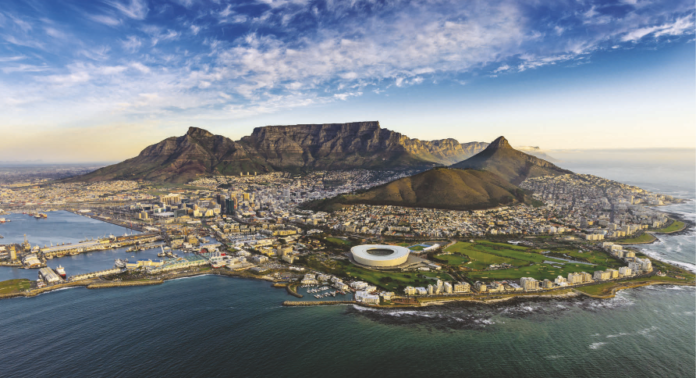 In just three years, this initiative has helped land 13 new routes and 18 route expansions, adding an additional 750 000 inbound seats to Cape Town International Airport. These additional passengers have spent an estimated R6-billion in the Cape economy. During the financial year in review, the economic impact of the project is estimated to be R2-billion. The most recent highlight was the launch of Cathay Pacific’s first direct flight between Cape Town and Hong Kong. By connecting the Cape directly to China for the first time, we hope to see a marked increase in tourism and investment into our region. Other highlights include our expanding direct flight offering to key hubs in Africa. In September, Kenya Airways launched a direct flight from Nairobi to Cape Town, with RwandAir introducing the direct flight from Kigali via Harare to Cape Town. These launches are fundamental in positioning the Cape as a gateway to Africa.